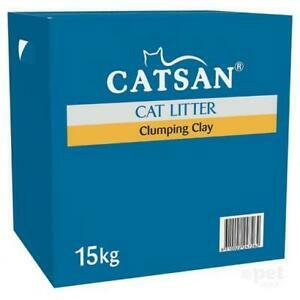 I've tried all manner of cat litter, but I find the Catsan Clumping Clay the best by far. When I first bought it I thought it was pretty expensive, but it is actually very economical. Now I wouldn't use any other kind, so I would recommend it to anyone. Good quality cat clumping litter. Always buy this brand - lasts a good 2 weeks for half a bag - so can last upto 2 months with just my one cat.